1. Feels more like a precision instrument than a camera. If you could take my dad's transit (he is a retired land surveyor) shrink it to 1/10th scale and put it in a bulletproof shell it would feel like a Leica. In contrast, most modern cameras, especially digital ones, have a feeling more akin to a shrunken TV set. 2. Leica makes a big deal of how accurately their cameras focus, but for the type of shooting I do this seems to be a nonissue. Accurate focus is only possible with stationary objects. In dynamic street scenes yesterday I found myself zone focusing 95% of the time. Most of my attention is between 5 and 25 ft. Focused at 10 ft at f8, that area will be in focus and stopping to focus more accurately only slows me down. Autofocus may be faster, but still not as fast as zone focusing. 3. Using a meter again feels like going back to student photography days. I'm so used to aperture priority that I'm sure I misexposed (mostly over) several frames today forgetting to stay on top of shutter speed. Good reminder to slow down and pay attention, which is a good reminder in general when photographing. 4a. Related question: Will anyone in the world who is shooting digital still be using the same camera in 5 years? 5. The appeal of the Leica is 90% mental. Zeiss makes a virtually identical camera with more features at half the price, only difference is no red Leica logo on the front. Fortunately photography is 90% mental too, so it's a perfect fit. 6. Will they still be making film cartridges when I'm ready to pass this camera to my kids? 7. Why did I wait so long to get one? this post, three years later when the film is dead in Spain (increasingly) makes it impossible to buy a Leica, unless you have for an M9. I have already discouraged and I am forced to buy a digital [Epson R-D1, maybe] or continue with my EOS450. 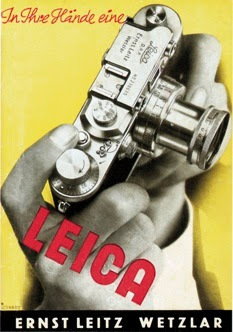 "If the Leica lasts me 5 years I am way ahead environmentally."